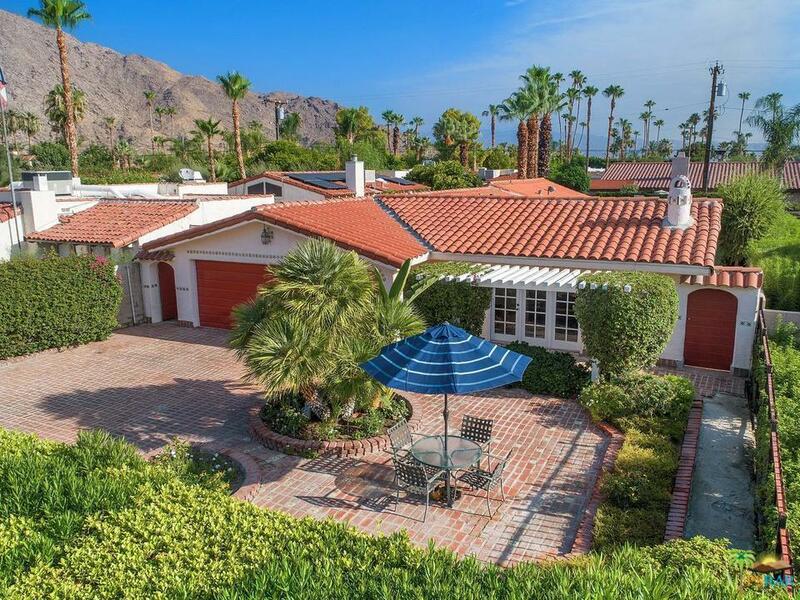 Tahquitz River Estates pool home to be enjoyed as is, or taken to the next level! 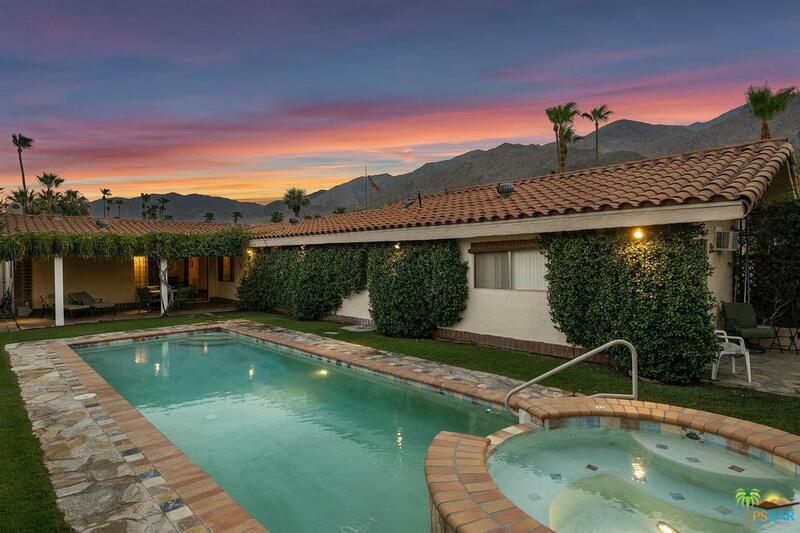 Beautiful details are throughout, such as the handmade Catalina Company style tiles of the pool waterline, the green grass that hugs the tumbled marble and golden flagstone decking surrounding the pool and views of the mountains that can be seen towering in the distance. The backyard oasis features complete privacy with an outdoor shower, pool and spa. 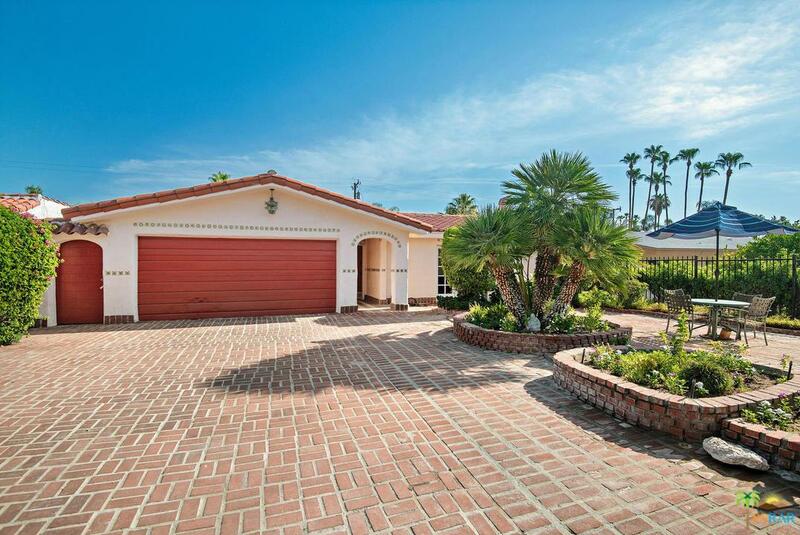 This home one thinks of when dreaming where you'd want to spend a never-ending vacation with loved ones. 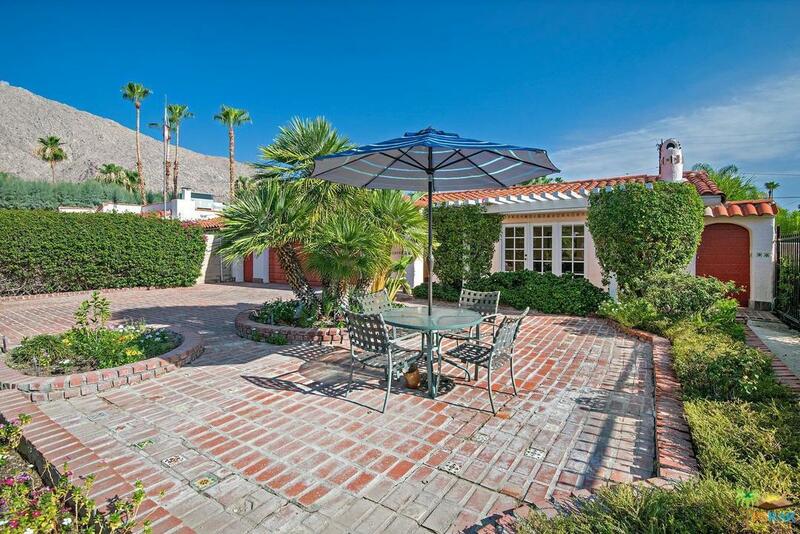 Two large, trellised, private, tiled patios are by the pool and a large brick patio in front offers mountain views. The attached guesthouse has a fully functioning kitchen, living room, bedroom and bathroom. Fully fenced with a security gate at the driveway. Sold by Mugge & Man BRE#01407481 of Bennion Deville Homes. Cross Streets Palo Verde And S. Palm Canyon Dr.